Is there a way to pull the data from iCloud and recover my deleted files on iPhone? Of course there is. In this article we introduce an iCloud Extractor for Mac to help you recover lost iPhone/iPad/iPod data from iCloud backup. iCloud backup extractor for Mac, also named UltData(iPhone Data Recovery for Mac), is a software specialized in extracting data from iCloud backup and recovering lost files for iPhone, iPad and iPod on Mac Yosemite 10.10, Mavericks 10.9, Mountain Lion 10.8, etc. It supports more than 20 types of files like photos, WhatsApp messages, iMessages, text messages, contacts, videos, voicemail and so on. After logging into your iCloud account, it will download iCloud backup files automatically. You can certainly specify the type of data that you want to download. All items in each category will be listed in the right section and you can choose your wanted ones. Note: Except for extracting data from iCloud backup, it also supports to extract data from iTunes backup and recover lost data directly from iPhone, iPad and iPod. Go to its guide page to learn more information. At first, you need to install this iCloud extractor on your Mac. Then launch it. Step 1. Switch the recovery mode to "Recover data from iCloud backup" (cloud mark) and sign in with your iCloud account and password. Step 2. Select the files in iCloud backup to download. I suggest you not to avoid this step as it can save you lots of time especially when the files are in large size. Step 3. 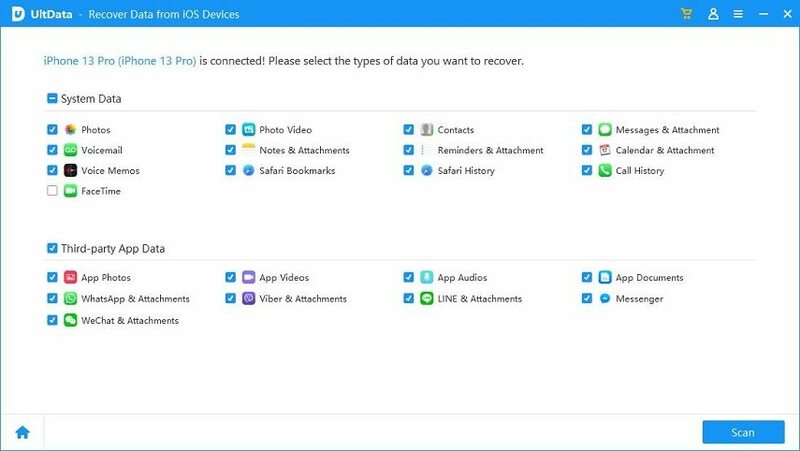 Preview each category and choose the items to extract and click on "Recover" button to recover data from iCloud backup. Then the data will be saved on your Mac. You can transfer some of them back to your iPhone (transfer vcf contacts to iPhone). This tutorial is for extracting data from iCloud on Mac. As for how to retrieve data from iCloud to pc, you can turn to the guide of Tenorshare UltData.